Whatever you decide to do this year, people you decide to meet, books you decide to buy, places you decide to go, projects you decide to start, stop, finish or write off as lame, I wish you all the best. 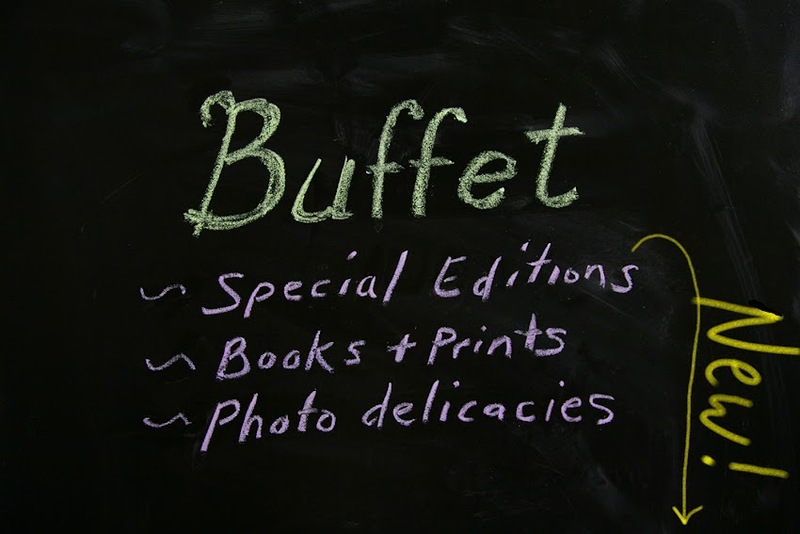 But, if you decide to make a few photographs, you won't, for the first time in about 35 years, be able to do it on Polaroid film. This will be the month in which Polaroid officially stops making their instant films, though several models haven't been available for quite some time. 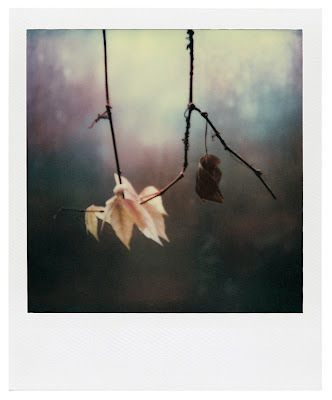 I just squeezed out my last pack of SX-70 film which I have had laying around for much too long. Of course I was disappointed because I had such high expectations knowing I only have 10 pictures, probably the last 10 ever through this camera. I will keep the camera though as it has 2 sentimental moments; firstly it was a gift from a professor of mine, Tamarra Kaida, secondly, Helmut Newton used it to make some snap-shots at his opening in Salzburg just before his death. Could be bad karma, but I will keep it. 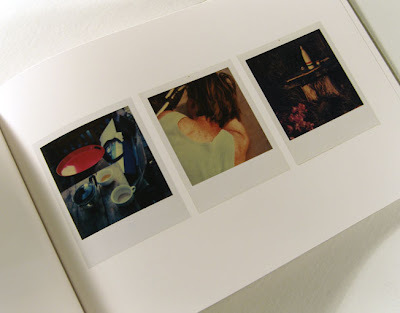 So I am going to try to put together a short run of books by artists who use polaroid material in one form or another, some friends of mine, some you may know well. In 1978 Arno Fischer and his wife Sibille Bergmann bought a farmhouse in Margaretenhof and converted it into a place to both live and work. There are ponds, gardens and aviaries for all sorts of birds. 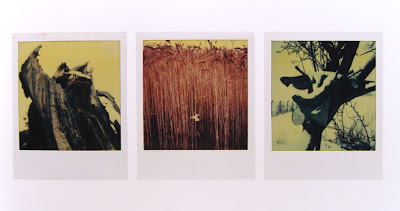 It is here where Arno Fischer has been making SX-70 polaroids ever since and arranging them into triptychs, referincing, as he says Pual Klee's "essential character of the accidental". 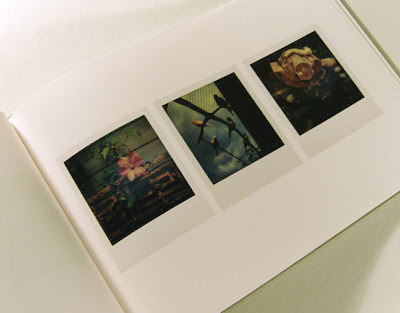 This book is a beautiful linen-bound book from Hatje Cantz in 2007, so maybe you have seen it, if so you know how beautifully the polaroids are rendered with a tricky glossy partial printing varnish to make the polaroids jump out and often look as if they are laying right in front of you. 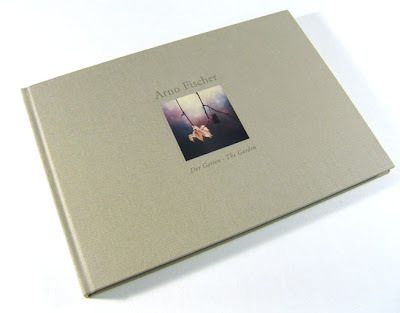 Arno Fischer is having a solo show at the Robert Morat Galerie in Hamburg, opening on January 3rd. To mark the occasion, the gallery has produced a limited print edtition out of 7 of the triptychs. 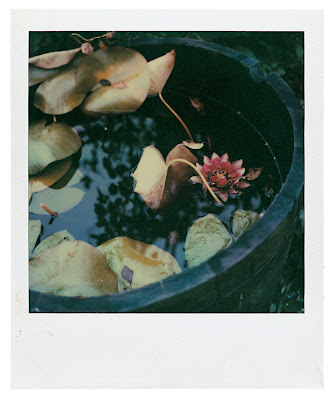 How to do a polaroid edition? Digitally of course. They are ink jets on cotton rag in an edition of 5+1 each. I can't find info about the price at the moment, but I know an email to the Morat Gallery will be promptly answered by Susanne, who has all of the answers.